Ford are expected to update their Mustang line for 2018, but it also seems that the Shelby GT350 will stick around for 2018 and beyond. 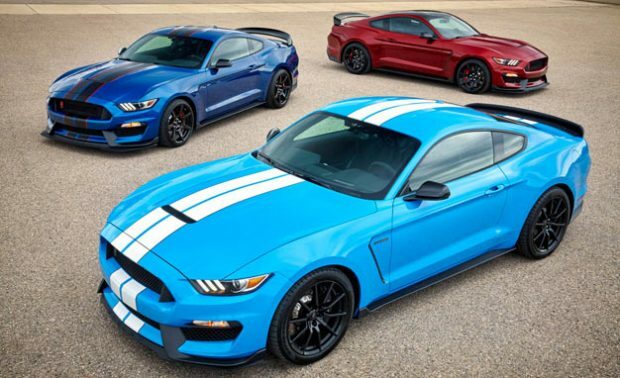 Although the Shelby GT 350 looks like it’s sticking around for some time, it may miss out on the midcycle upgrades with only new color options available. The rest of the range will have a 10 speed automatic transmission and changes to the bumper styling. It is also said that the rest of the Mustang range will have styling tweaks to look more like the Shelby GT 350, meaning that the GT 350 itself will not receive any styling upgrades of its own. A dual clutch transmission was also rumoured but this seems to not be the case as of now. There are also rumours that a revitalised GT500 may arrive at some time in 2017, so watch this space for further updates.